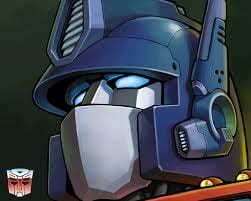 Rumor has it that Soundwave is actually Optimus’ brother. their heads are so similar! 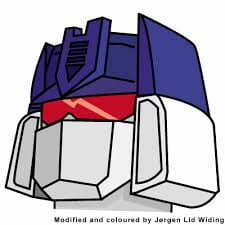 the only big difference is Soundwave has sunglasses. in the 1980’s episode Omega supreme’s Secret, it says that Megatron has this robot that can reprogram Autobots into Decepticons. and that’s what happened to Soundwave.